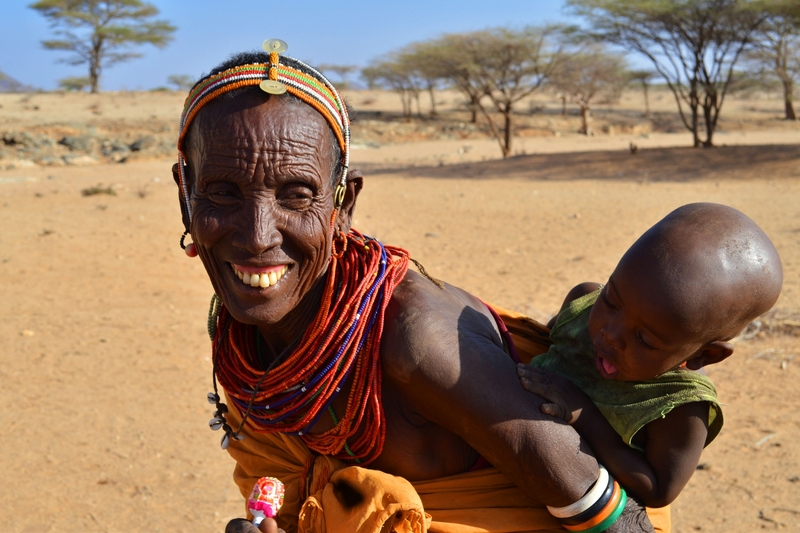 Picture captures an elderly Kenyan woman with her grandchild. A kid is absorbed in a lollipop held by grandma. The photography was taken in a hostile area of Kaisut desert in Northern Kenya. People here suffer from hunger and lack of water caused by severe drought which hit East Africa in 2017.